I have a bar chart that will only open another report if a certain condition is met. For example, I have a bar chart that displays the number of tons milled by location (main report). I also have another report that only returns with data for just location A (sub report). 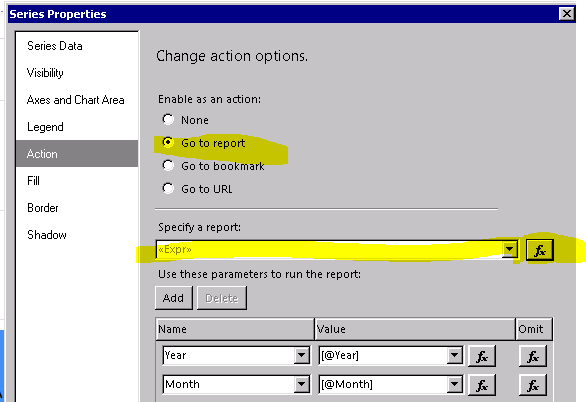 I want to set action so when user clicks on the bar chart where the location A is, it will open the sub report. No action (no “hand” cursor” display) when the user clicks on the bar chart for the other locations. This expression says when the Location is A then go to the report called subreport otherwise do nothing.